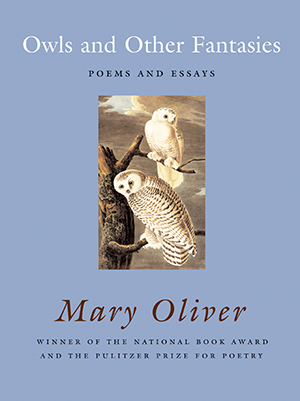 Within these pages Mary Oliver collects twenty-six of her poems about the birds that have been such an important part of her life-hawks, hummingbirds, and herons; kingfishers, catbirds, and crows; swans, swallows and, of course, the snowy owl, among a dozen others-including ten poems that have never before been collected. She adds two beautifully crafted essays, “Owls,” selected for the Best American Essays series, and “Bird,” a new essay that will surely take its place among the classics of the genre. For anyone who values poetry and essays, for anyone who cares about birds, Owls and Other Fantasies will be a treasured gift; for those who love both, it will be essential reading.